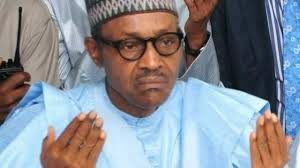 By Sadiq Umar – President Muhammadu Buhari on Sunday said he is not afraid of conducting free and fair elections next year poll, even as he acknowledged that the election that brought him to office was free and fair. Mr. Buhari spoke in Beijing, during an interactive session with members of the Nigerian community in China. The President is in the China to participate in the 7th Summit of the Forum on China-Africa Cooperation slated for September 3 to 4 in Beijing. A statement by Senior Special Assistant on Media and Publicity, Garba Shehu, said the President noted that he was a beneficiary of credible elections, and that he would ensure that his administration organises free and fair elections. Mr. Buhari assured he would ensure the 2019 polls, under his watch, would be free, fair and credible. The Independent National Electoral Commission and security agents in his words would allow Nigerians eligible to vote in the next general elections to freely elect candidates of their choice. “I have no fear about free and fair elections because that is what brought me to the present position. “The Nigerian police, law enforcement agencies and INEC must respect the right of the people to express their wishes’’ the statement said. President Buhari cited the outcome of the by-elections recently conducted in Bauchi, Katsina and Kogi States, to justify his readiness to make every vote counts as well as ensure free and credible polls. On insurgency, President Buhari linked the success to operations of security agencies deployed to counter insurgency in the North-eastern part of the country.